Many machines around us continue to age over time. This aging of machines affects experimental results, and the accuracy of experimental results may be reduced or not fully achieved. To prevent this problem, we decided to predict the lifetime of a machine to help us analyze experimental results. Thus, we carried out a polymerase chain reaction (PCR) experiment, which is an experiment to amplify the gene information stored in DNA to the amount required for gene analysis experiments, to determine the temperature change of a thermoelectric module (Peltier). The Peltier was used to determine the reliability of the results by learning how it affects the lifetime of the device. As a method of measuring aging, we used deep learning technology. In this study, we expect to learn how machines age. By learning the machine’s own aging data of important parts, the reliability of test results can be greatly improved. 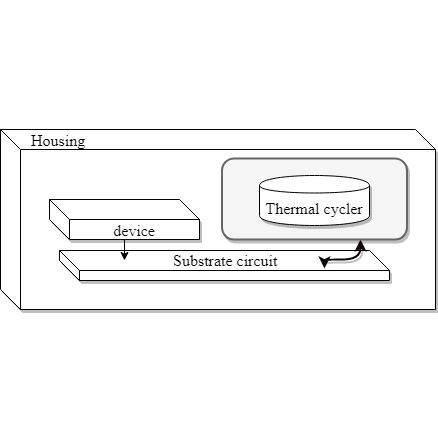 Jong-Dae Kim, Jeong-Uk Park, Hye-Jeong Song, Yu-Seop Kim, and Chan-Young Park, Polymerase Chain Reaction Thermoelectric Module Based on Prediction and Attachment of Aging Phenomena, Sens. Mater., Vol. 31, No. 2, 2019, p. 293-299.